This massive gate, reconstructed in the late nineties, sits at the southern entrance to the Gyeongbokgung Palace in Seoul. 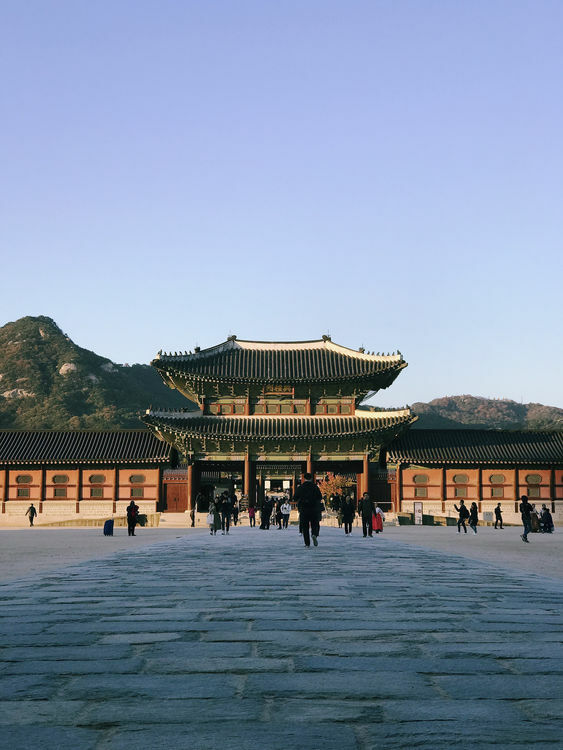 The palace itself dates to the 14th century and the Joseon dynasty. The Korean government began a forty year program in the late eighties to rebuild and restore structures destroyed during the Japanese occupation of Korea in the early twentieth century. We arrived a bit too late to tour the palace, but were just in time for Golden Hour. “Heungnyemun Gate” is also available as Markdown and JSON.